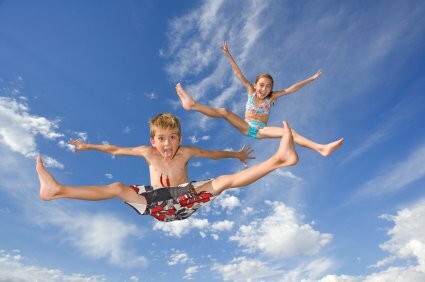 Exercise is a very important part of our lives. 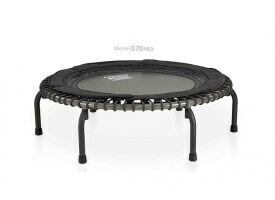 This mini trampoline – Stamina InTone Oval Jogger, is an excellent way of getting that exercise without leaving the comfort of your own home as there is nothing quite as satisfying as getting a workout while watching TV or following exercises from DVD. As Stamina InTone Jogger comes with workout DVD you can simply put the DVD in and follow expert guides with best exercises to perform. 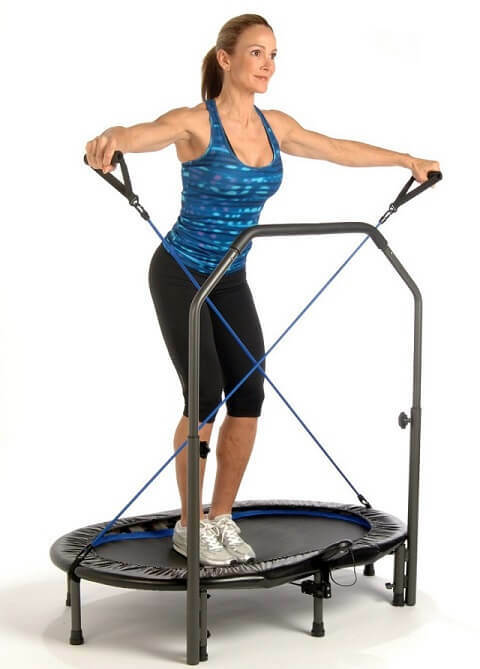 The DVD is very informative and we were pleasantly surprised by it as instructor Mia Finnegan is cheerful without being super annoying (when compared to some other workout videos). After a while, you won’t even need that DVD because you will have it all memorized. Good stuff! 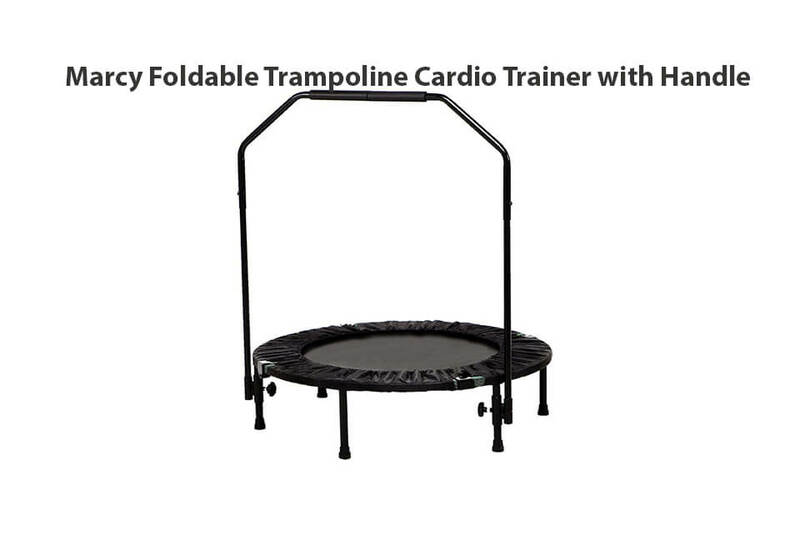 Recommended for: Adults in need of cardio-vascular workout. Not recommended for children! 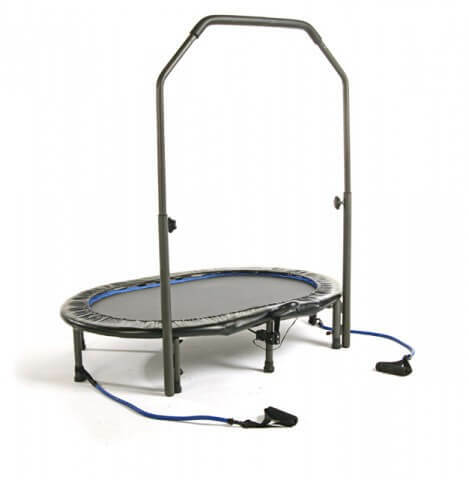 This mini trampoline is a traditional jogger measuring 38-inches (3 ft.) in diameter and it is completely made of steel. 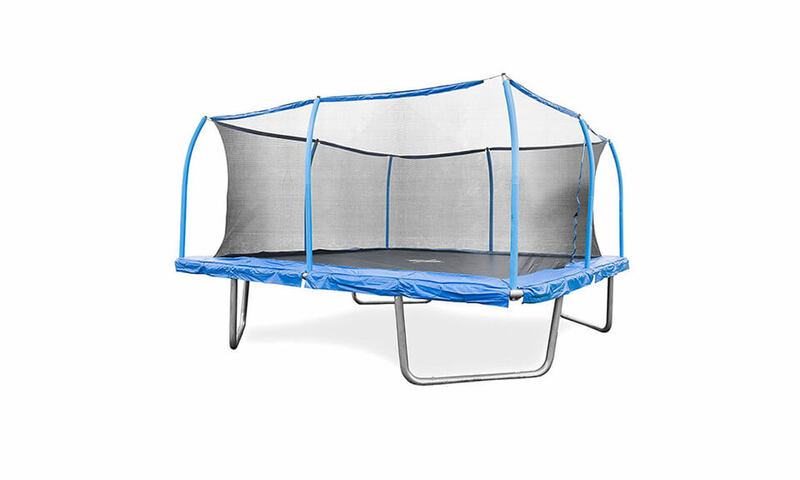 It features 8 steel legs which guarantee stability when in use. 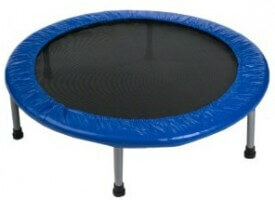 The trampoline mat is very thick and will last for long time but unfortunately not too bouncy. 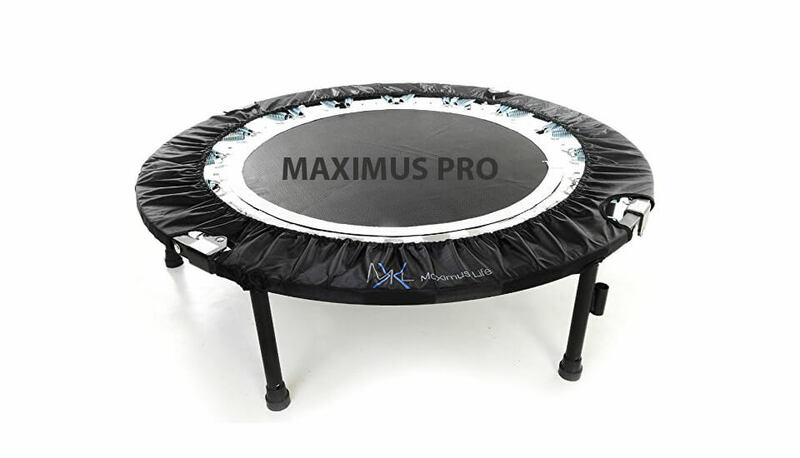 Total dimensions of jumping mat are 44.5″ W x 26″ D. But we have to mention, such large jumping area and good quality mat on mini trampolines in that price range is something really unusual. It has no steel springs but rubber bands instead. 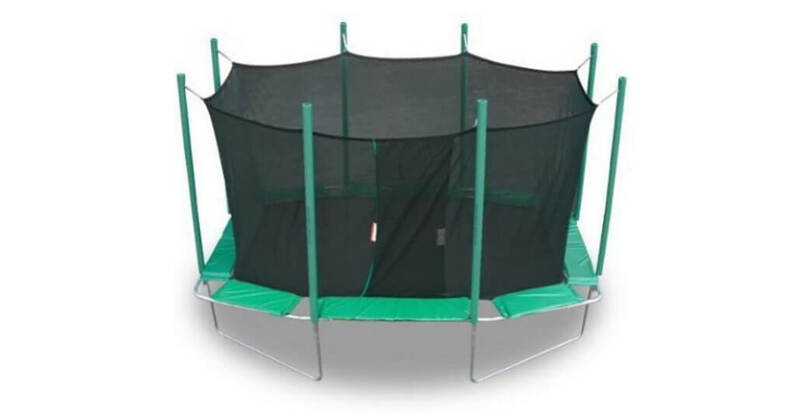 They provide nice quiet resistance while jumping and are covered with very thick safety pad. Handlebar is adjustable and can be set from 41-inches to 50-inches but in 3-inch increments. Not so hard to find your sweet-spot! 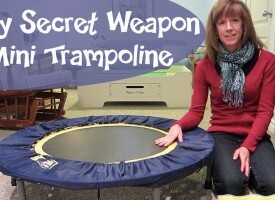 Good thing is that resistance tubes are connected on the side of trampoline so handlebar does not get in the way. 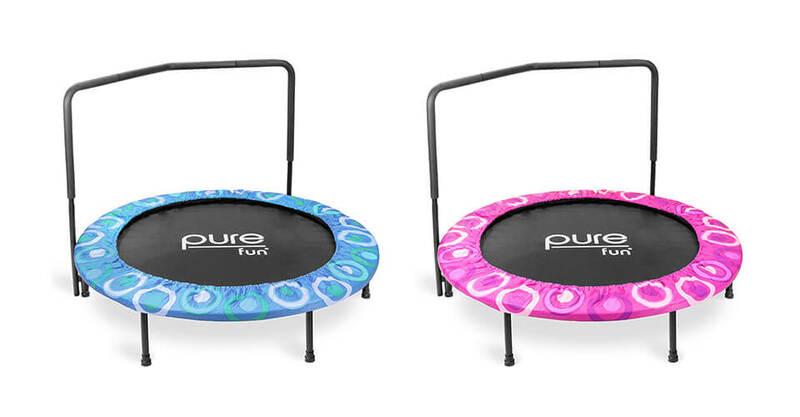 InTone Oval Jogger mini trampoline is small and light-weight enough for anyone to move out of the way… Just set it up in the living room in front of the TV and you are good to go. 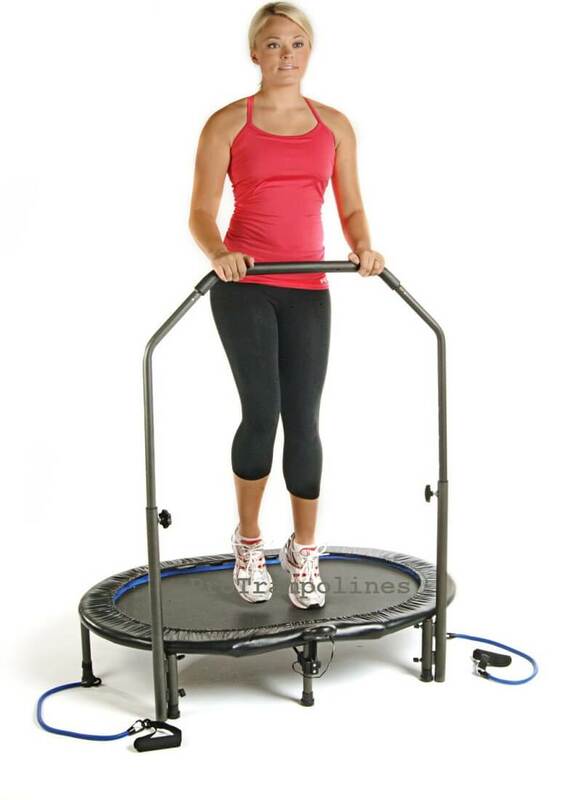 Storing the Stamina InTone Jogger is more difficult than a typical mini trampoline because of the safety bar. 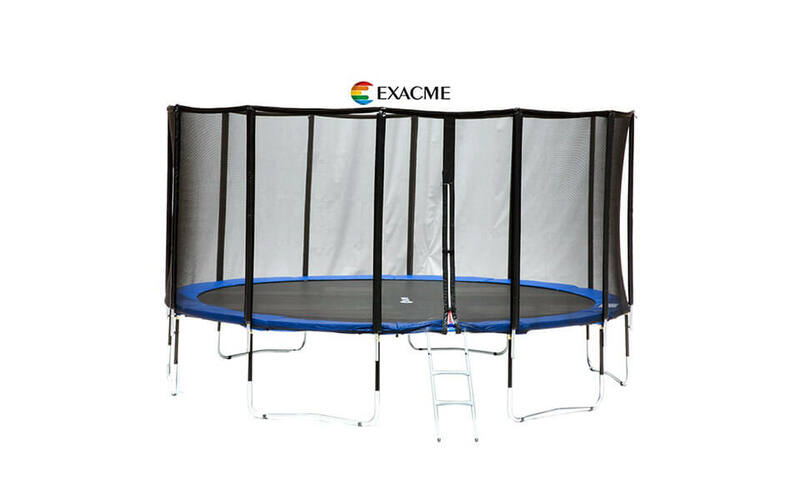 It must be removed if you want to store this exercise trampoline. Not so good for person under 150 lbs because oval shapes will push you to the middle. 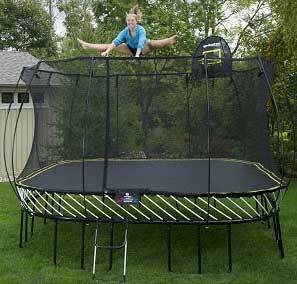 Warranty on this trampoline is 90 days on parts and 1 year on frame. Assembly process is pretty straight-forward and while manufacturer advises assembly by two people we think that only one person will suffice to do the job under 40 min. 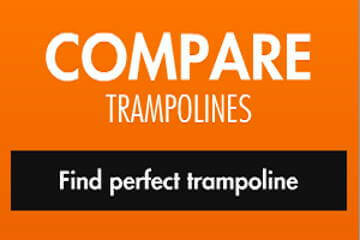 Complete dimensions of assembled product are 9″H x 36″ W x 55″ D. Overall weight of this trampoline is 21 lbs (10 kg). Need assembly manual? Download here! 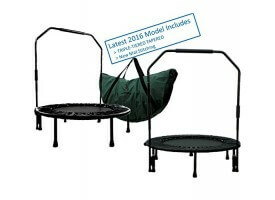 Other Reviews of Mini Trampolines Interested? Buy Now!!! 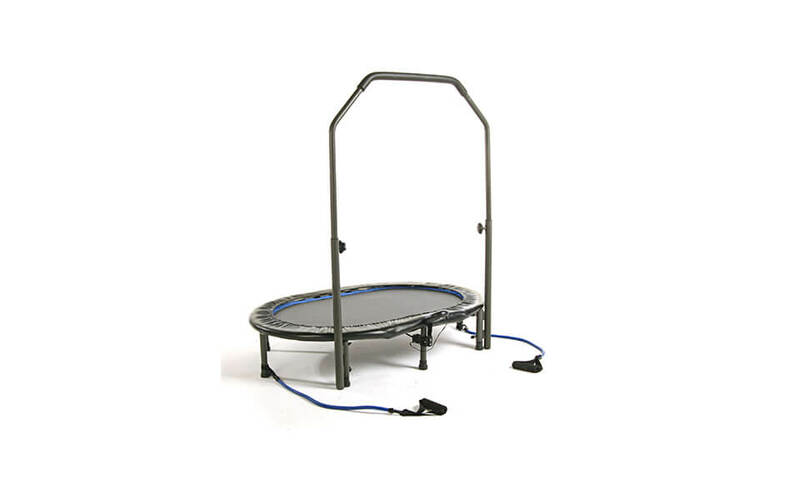 Stamina is a well-respected company for producing quality products on a budget and Stamina InTONE Jogger also follows that tradition. 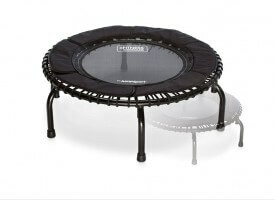 Stamina InTONE Jogger will provide you with everything you might expected from a mini trampoline!